B2B companies have quickly learned the value of video in a content strategy. The medium is no longer just for YouTube vloggers and B2C businesses, as 49% of respondents to Demand Gen Report’s 2018 Content Preferences Survey noted they prefer the format when making purchase decisions or self-educating. 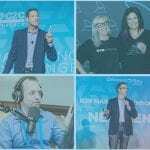 But B2B videos don’t have to be boring, and LinkedIn’s popular — and 2018 Finny award-winning — “Live with Marketers” series is proof. 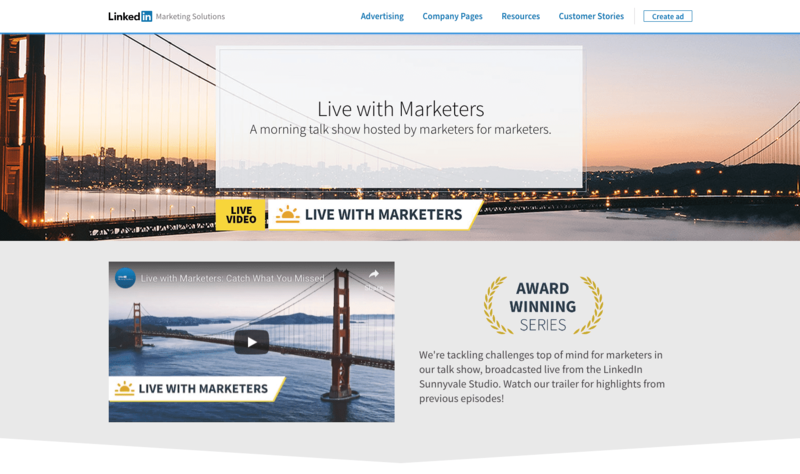 “Live with Marketers” is LinkedIn’s first live talk show for marketers, by marketers. Broadcasted live from the LinkedIn HQ studio in Sunnyvale, Calif., the series was created to help resolve pain points for marketers by tackling top-of-mind topics such as defining and optimizing ROI, attribution, marketing to Millennials and driving real business impact on social media. The show is hosted by LinkedIn’s own Content Marketing Manager Alex Rynne, who has hosted esteemed guests, including marketers from Hootsuite, HubSpot, AdStage and LinkedIn. The broadcasts surpassed benchmarks for traditional webcast formats, including record-breaking attendance and registration numbers. The company also saw higher projected revenue for deals closed from the series when compared to traditional webcasts. A single episode generated 643 Periscope views, 319 YouTube views and 79,000 impressions on LinkedIn. “Live with Marketers” earned LinkedIn a Killer Content Award for the video category at the 2018 B2B Marketing Exchange. Next week, Rynne will sit down with Elise Schoening, Assistant Editor of Demand Gen Report, to discuss the inspiration behind the series, the future of video marketing and much more. Join us for the live discussion! It takes place October 23 at 2:30 PM ET. Add to calendar.